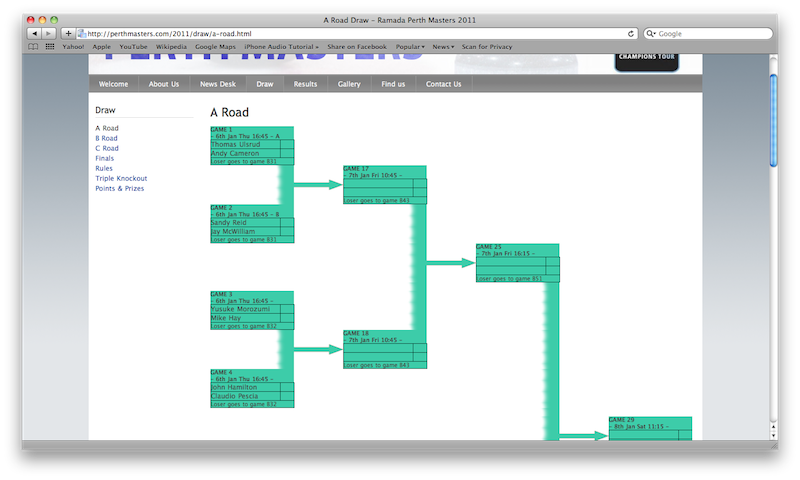 The Curling Results Service is a database that supports a number of curling tournament formats. It allows line scores to entered and displayed to users in real-time, and presents the information in a variety of different ways. The Curling Results Service has evolved over the past 11 years, and has been used in a wide range of tournaments, from the World Curling Champsionship at Breahead in 2000, to Perth Masters, European Senior Championship at Greenacres and Edinburgh Internationals at Murrayfield, Edinburgh. 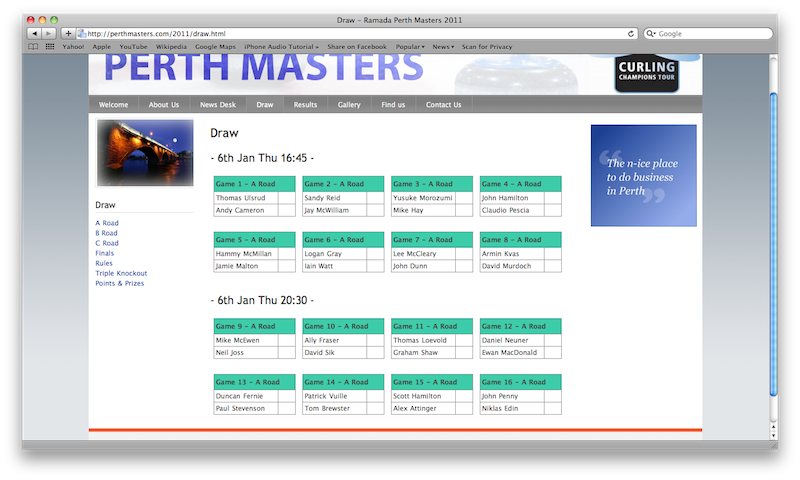 The Curling Results Service can be integrated in with the Contao CMS system, and upon request into any other other CMS or bespoke website. Please contact me for information and pricing. Colour code games in different paths. Manage multiple events – use this to run more than one tournament simulataneously or to provide an archive of previous tournaments. Additional bespoke features are available on request. 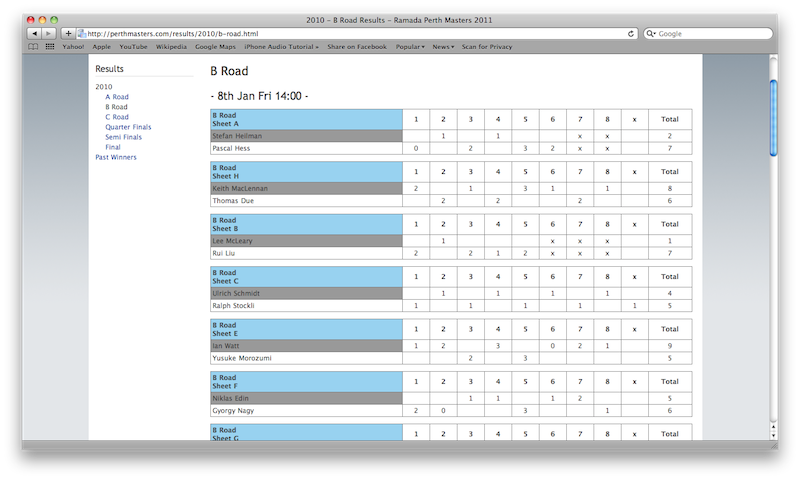 To get the Curling Results Service integrated into your website for a tournament, please contact me for a quote.